Do you remember last years Blockapalooza? 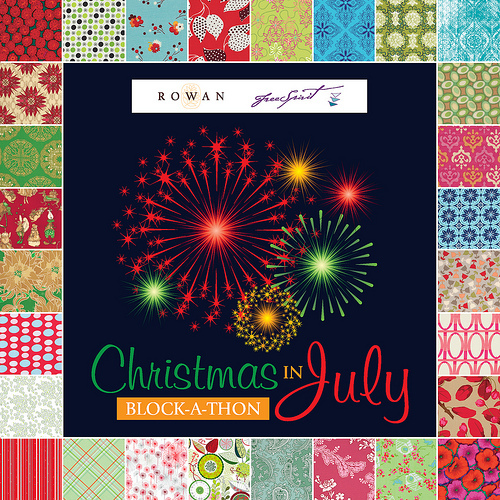 Well, John Adams (aka Quiltdad) is hosting the Christmas in July Block-A-Thon. There will be a line-up of fabulous bloggers (and me) making blocks with FreeSpirit fabrics. The line-up includes fabrics from Denyse Schmidt, Valori Wells, Heather Bailey and more. All fun begins this July. So, mark this in your ‘important things to remember’ calendar and join us for some festive fun in July. Here is a sneak peek of my block. I am looking forward to this blockapalooza.